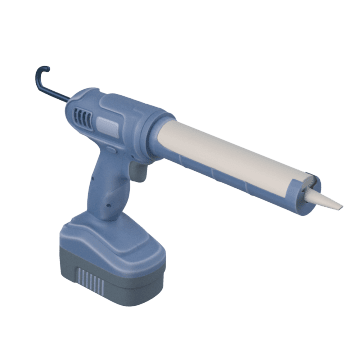 Lay a smooth bead of caulk with these caulking guns to thoroughly fill gaps between surfaces and seal out moisture, debris, and air. They hold compatible containers of caulk and apply consistent force to dispense the caulk in a controlled manner and avoid waste. 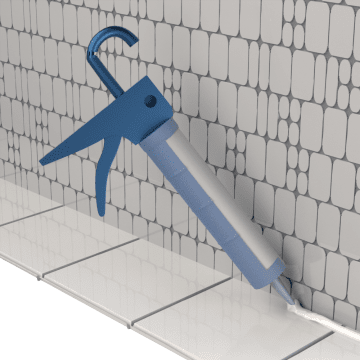 Caulk guns are commonly used for sealing around tubs, sinks, baseboards, windows, and doors. 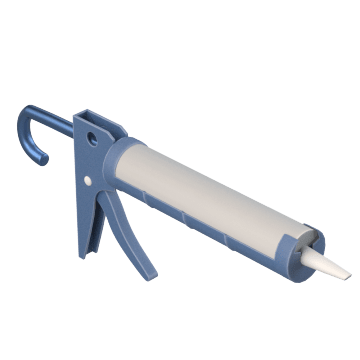 Load these standard manual caulk guns with a cartridge of caulk and pump the trigger to dispense the caulk. Ideal for small jobs, they are lighter than battery-powered or pneumatic guns and don't require a power source to operate. Use guns with higher thrust ratios for laying thicker, more viscous caulk. Reduce waste and boost efficiency with these manual bulk caulk guns, which are ideal for large jobs where you're using lots of caulk. They hold sausage packs or bulk caulk, so there's no cartridge to throw out at the end of the job. Also, they accept compatible tips or cones that fit onto the nose of the gun, which means you don't have to shape a new tip every time you refill the gun with caulk. The guns' enclosed barrel keeps the caulk contained to create pressure for smooth, controlled dispensing when you squeeze the trigger. Use guns with higher thrust ratios for thicker, more viscous caulk. Avoid hand fatigue by letting these battery-powered guns pump out the caulk for you. 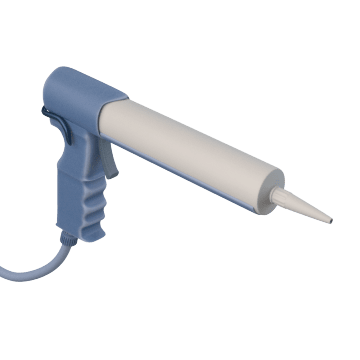 Hold the trigger to automatically advance the gun's plunger and dispense the caulk, and release the trigger to immediately stop the flow of caulk for precise dispensing without drips. You can adjust the trigger speed to control the rate at which the caulk is dispensed. Battery-powered caulk guns are great for high-volume dispensing in areas where a compressed-air line may not reach or would limit mobility. Use pneumatic caulk guns to lay a smooth, even bead of caulk for a professional appearance and a tight, gap-free seal. 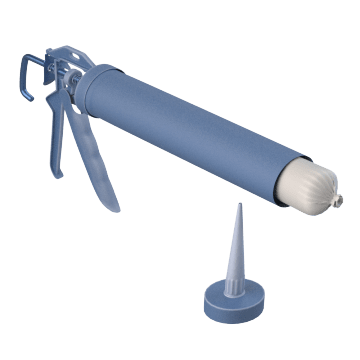 Also called air-powered caulk guns, they attach to a compressed-air supply to dispense caulk at a consistent rate with less effort than manual guns. Hold the trigger to automatically advance the gun's plunger and dispense the caulk, and release the trigger to immediately stop the flow of caulk for precise dispensing without drips. Ideal for high-volume dispensing tasks where you don't want to worry about replacing drained batteries.